Vipul Shah directorial Namaste England which went on floors this February is taking the film a step higher with a extravagantly mounted song sequence. The song is title 'Tu Meri Main Tera', written by Javed Akhtar and composed by Mannan Shah. 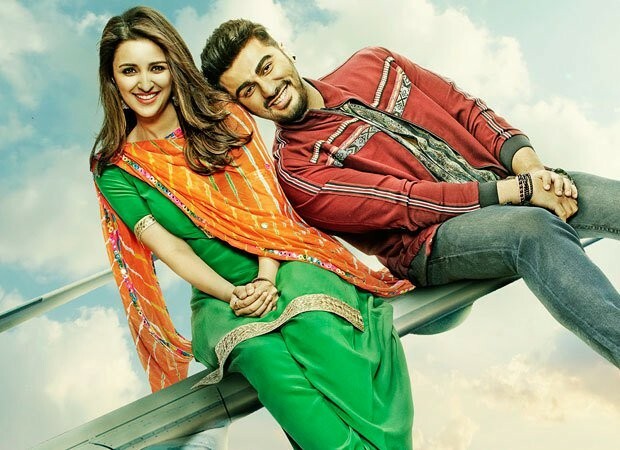 Vipul Shah shares, "The song is an integral part of the film where we show Arjun and Parineeti’s characters travelling from Punjab to London. We did a lot of research and created an interesting route to reach our destination. We are showcasing it in real time. We started the journey in Punjab, and traveled to Bangladesh border, Dhaka, Brussels, Calais check post in France, and from there to Paris and London. Around 18-20 locations feature in the song. We have even shot in the middle of the sea". Vipul Shah feels that with the budget of rs. 5.5 crore, shooting the song has been an expensive affair. He further added that, "I generally don't talk about numbers but yes, it is the most expensive song I have shot in my life. It was canned in over 11 days. I direct tracks that don’t require choreography by myself in my films and who better than Javed saab for a travel song. It’s emotional and high on quality. We will decide the singer once we’re back in Mumbai," the filmmaker. Namaste England director Vipul Shah is all praise about his leading jodi and the chemistry that they share on screen. "This is Arjun and Parineeti’s second film together after Ishaqzaade and they are good friends who play pranks on each other all the time. I call them Tom and Jerry because they are wonderful together and that chemistry will be visible onscreen." Produced and directed by Vipul Amrutlal Shah, the film is presented by Pen Movies and Reliance Entertainment in association with Blockbuster Movie Entertainers. Namaste England is scheduled to hit the theatres this Dusshera.